Promotional value expires 120 days after purchase. Amount paid never expires. Entire voucher value must be used in one purchase. Limit 1 per person, may buy 1 additional as gift(s). May be repurchased every 180 days. Limit 1 per visit. Valid only for option purchased. Valid only at listed locations. Not valid with other offers or promotions. Merchant is solely responsible to purchasers for the care and quality of the advertised goods and services. Every morning, the bakers at Cadmans Montreal Bagels set out for their daily routine. It begins with the rolling of the bagels, which are then boiled raw in slightly sweetened water. Then, the bagels are taken from the water and sent straight into a wood-burning oven, which roasts the bagels to perfection. The process is the same one that’s been used for decades in Montreal, and Cadmans sees no reason to mess with perfection. 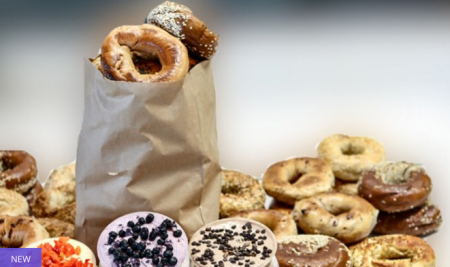 The one thing that does set them apart, however, is the fine ingredients that go into the bagels—always natural, with no artificial chemicals or preservatives to disrupt the classic tastes.